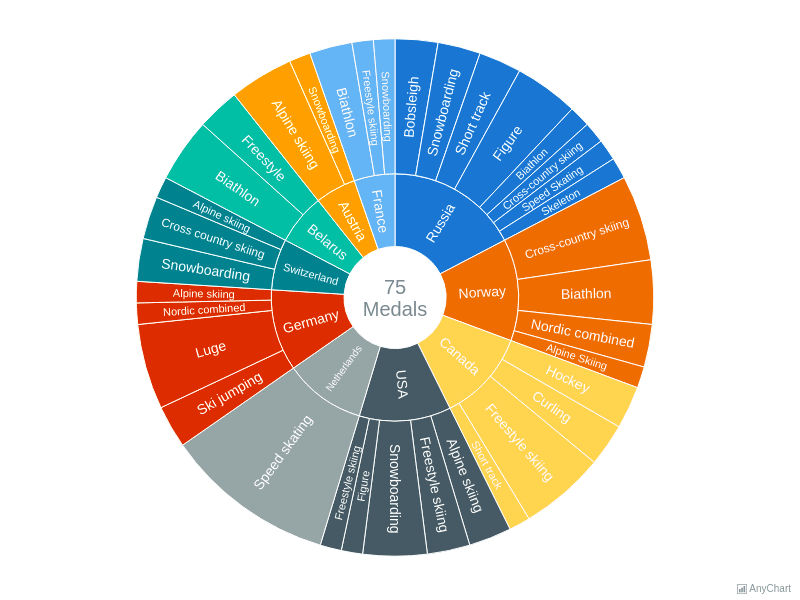 Gold Medal Winners at the Sochi OlympicsSunburst Chart: medals at the Olympic Games in Sochi. 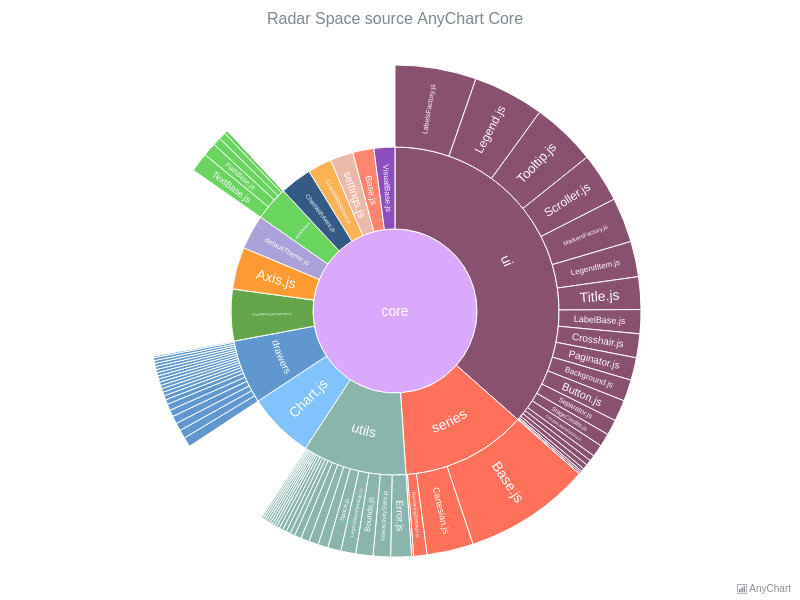 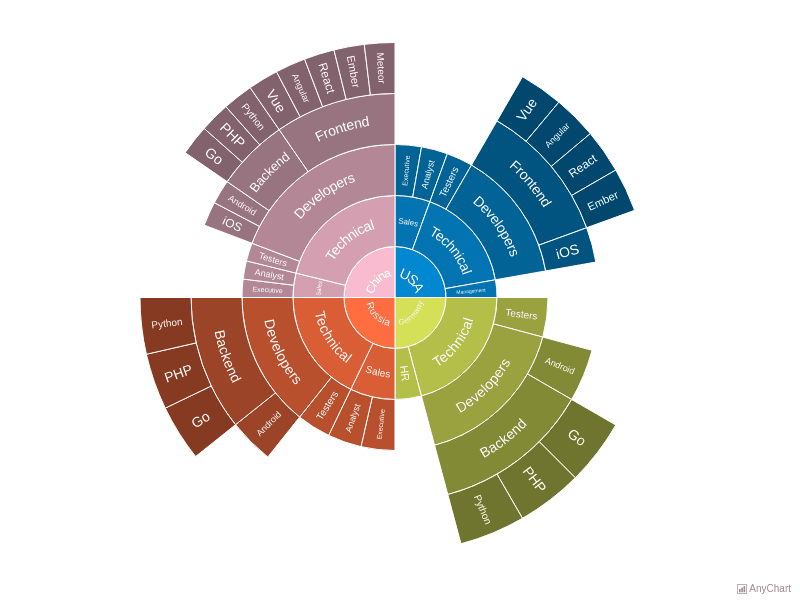 Radar Space Source AnyChart CoreSunburst Chart: AnyChart core module components. 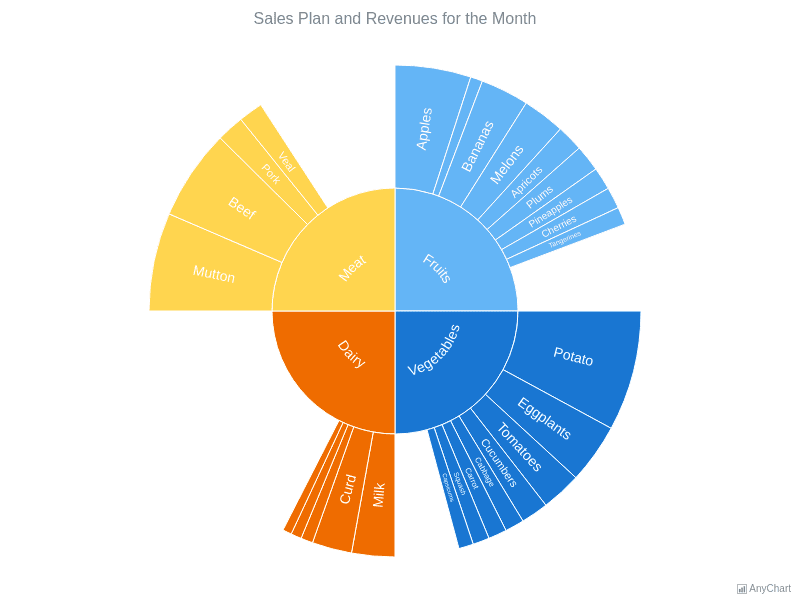 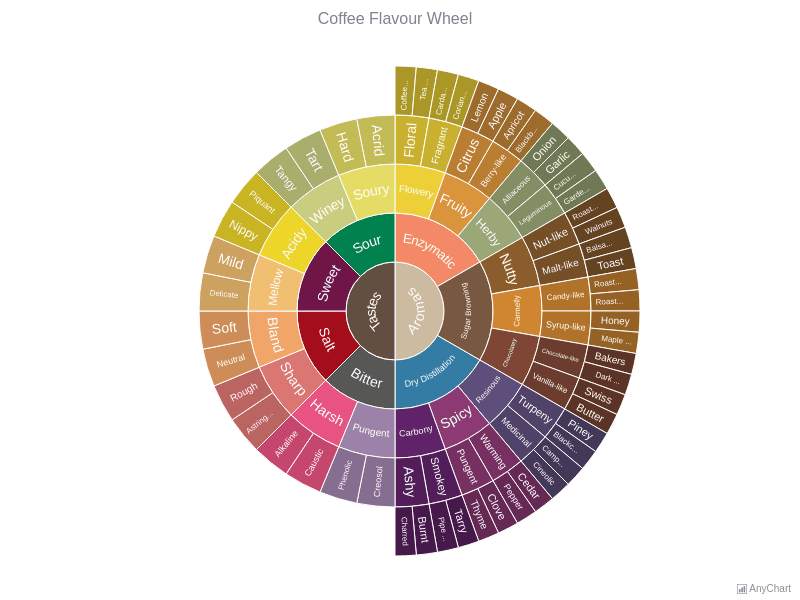 Sales Plan and RevenuesSunburst Chart: Sales Plan and Revenue of fruits, vegetables, dairy and meat. 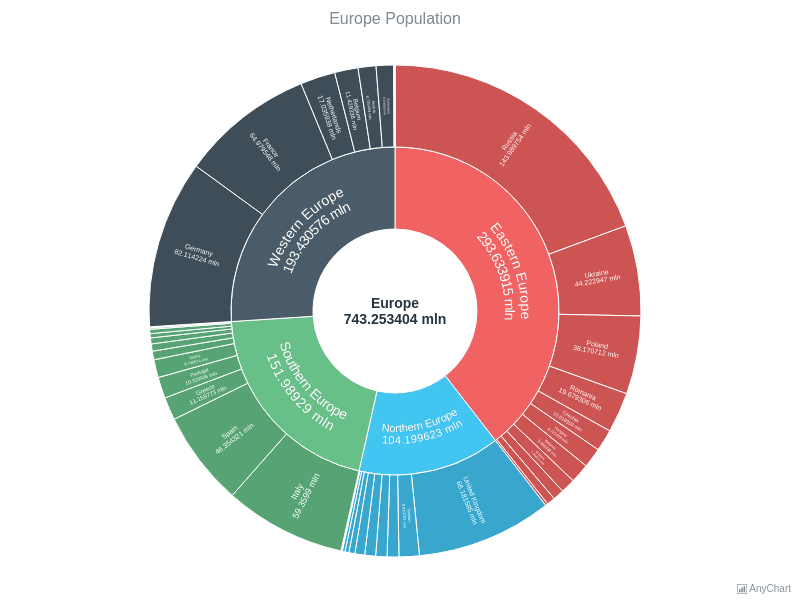 The Population of EuropeSunburst Chart shows the population of Europe.